Early to mid-fall is a unique time of year when most of the country is bathed in brilliant colors of gold, crimson and orange due to the weather’s affects on local foliage. However, this beauty is fleeting, and the Thanksgiving holiday usually ushers in cold weather and overcast skies in many areas. When the weather begins to look gloomy where you live, it’s time to consider a Thanksgiving getaway to our Thunderbird Suites Hotel in lovely Scottsdale, Arizona. Why November is a Great Time to Visit the Valley of the Sun? The cities of Scottsdale and its more famous neighbor Phoenix are located within Arizona’s Valley of the Sun, which boasts a whopping 330 sunny days per year. During November, you can expect to enjoy mild temperatures that rise to an average 74 degrees Fahrenheit during the day and descend to 49 degrees at night. While peak tourist season throughout the state is in the spring, you can take advantage of the comfortable fall climate to explore Scottsdale and surrounding areas to the fullest. 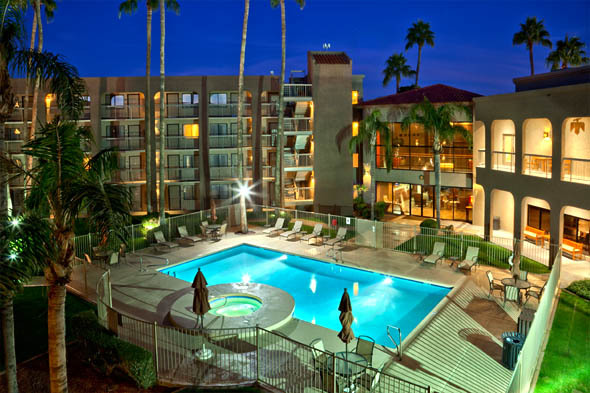 Why Stay in Scottsdale versus Phoenix? Scottsdale offers the same level of amenities as Phoenix, but it is far more affordable on average to lodge in Scottsdale. Located just 10 miles from the Phoenix Sky Harbor International Airport, Scottsdale has plenty of rental car options as well as an ample public transportation system of buses and light rail trains to get you to the city’s most popular shopping, dining and entertainment attractions. 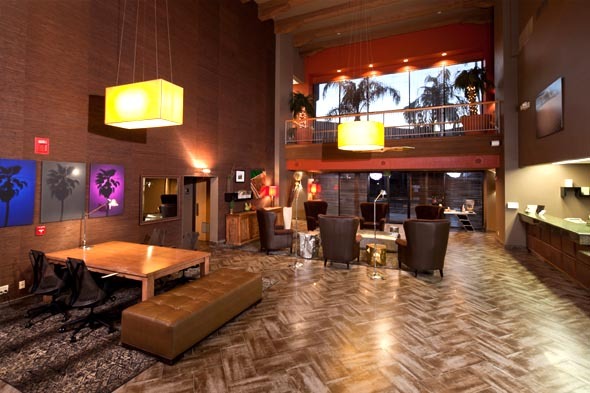 Why Lodge at Thunderbird Suites Hotel in Scottsdale this Thanksgiving? We understand that during the special season of Thanksgiving you want to be comfortable and surrounded by family and friends. That is just the atmosphere that will greet you upon arrival at our hotel. We are centrally located in North Scottsdale, which is near both the shopping centers of Scottsdale Quarter and historic Old Town Scottsdale. Our property blends classic Southwestern design details with luxurious, modern interiors. 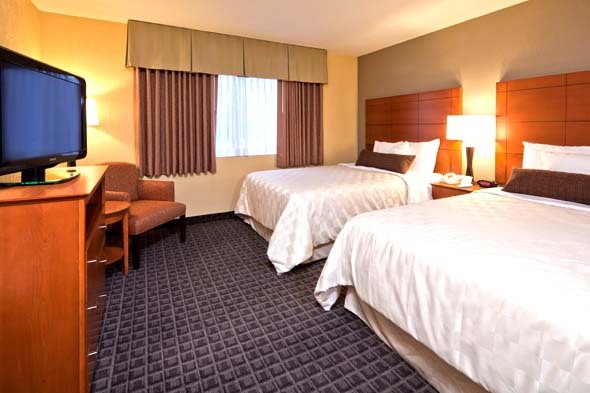 Other popular features of our hotel include heated pool, hot tub, free hot breakfast buffet, in-suite refrigerator and microwave and personal care toiletries by Paya Organic. We are well-known by frequent travelers to the area for our outstanding customer care. Look up our reviews online and see what our guests have to say about a typical stay with us; you won’t be disappointed. We strive to make your stay with us enjoyable for the entire family that even includes fur kids. From our on-site, 24-hour market to our shuttle service, you will see why we are consistently given high ratings for customer service. Need ideas for things to do in and around Scottsdale during your stay with us? Check out our blog to find out about area attractions and upcoming events. We are thankful for the opportunity to make you a part of our family this Thanksgiving. Truly such a beautiful time of the year to experience this area. I love Thanksgiving time here.